Sound is what we hear. Noise is a sound that we don’t want to hear. The difference between sound and noise depends upon the listener and the circumstances. Rock music can be a pleasurable sound to one person and an annoying “noise” to another. We are all subjected to some form of loud noises for a considerable amount of time, during the day and night. We bear with the noise created by blowing of horns on the roads, noise created by the loudspeakers, tolerate noise during festive-times and during processions carried through the street. It seems like people consider noise as an expression of happiness, especially the Indians. Noise pollution is one of the major environmental concerns in India today. Sadly, many are unaware of the hazards it can cause. To measure noise, the average pressure level of the sound is used over time by a weighting scale. The noise level is generally expressed in decibels. Indian Ministry of Environment & Forests issued Noise Pollution (Regulation and Control) Rules in 2000. These rules were last amended in January 2010. The rules prescribe noise standards in decibels based on area and time. For residential areas, the standard is 55 dB (Leq) in the day time and 45 dB (Leq) at night. Day time means time from 6.00 a.m. to 10.00 p.m and night time means time from 10.00 p.m. to 6.00 a.m. dB(A) Leq denotes the time weighted average of the level of sound in decibels on “scale A” which relates to human hearing. Implementation of noise standards in different zones or areas. Restrict the use of loud-speakers. Restrict the over-usage of horns, sound creating equipments for construction and fire-crackers. 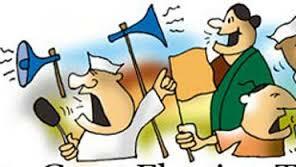 Allott responsibility to State Pollution Control Boards (SPCBs) or Committees and the Central Pollution Control Board, for collecting, processing and providing the statistical data about the noise pollution, so that adequate measures may be taken to prevent and control. On violation of these rules, the person is liable for penalty. The government is now working on devising new noise pollution standards. In March 2011, the central government set up the National Ambient Noise Monitoring Network (NANMN) of 70 stations, through Central Pollution Control Board (CPCB) and the SPCBs, to monitor noise on a 24×7 basis in India’s seven largest cities. These cities include Delhi, Bengaluru, Kolkata, Chennai, Hyderabad, Lucknow and Mumbai (and Navi Mumbai). It is expected that the number of locations to be monitored will be increased to 160 cities in two phases. A four-year study (2011-2014) on Noise pollution based on NANMN showed that Mumbai is the noisiest city, just ahead of Lucknow and Hyderabad while Delhi stood fourth and Chennai fifth. The busy ITO junction in Delhi registers around 74 decibel (dB) of sound on a typical day, almost 10 db over the limit for the commercial areas. The level near Acworth Hospital in Mumbai’s Wadala is usually 70 dB, almost 20 dB more than what’s permitted in such a zone. Even the “silence zones” – (areas within 100 metres around hospitals, educational institutions and courts) -do not meet the noise standard. Several studies have been conducted to learn about the noise levels during Diwali festival. As per the study conducted on noise levels due to Diwali firecrackers by Awaaz Foundation along with the Maharashtra Pollution Control Board the noise pollution reached to over 125dB between 2008 and 2013. CPCB released a report in 2016 “Status of Ambient Noise Level in India” that provides access to the noise data. It’s an excellent report to read and understand the problem of noise pollution in Indian cities. I was speaking to my Professor Friend after reading this report. We met in a bar where the audio system was under renovation and hence we could have a conversation. We asked for some draught beer and took seats next to the bar. 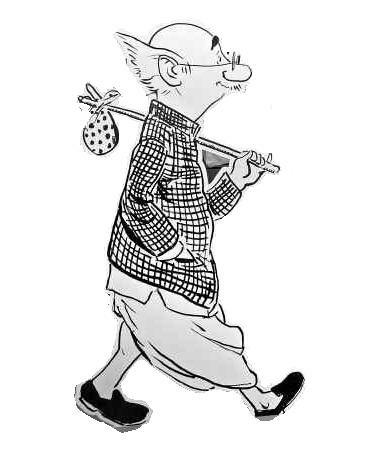 “Well, I am just returning from Delhi after a meeting with the High Command” Professor said. “Now that the State elections are over, we have decided to take the issue of noise pollution very seriously”. He lit his cigar. “Are you crazy?” I (almost) screamed. “Game like Cricket works only on screaming and shouting – it’s the noise that creates the pressure and the push and hence the unpredictable”. “Well, we will now focus on the health impact of the audience in the stadium as well as impact on the neighborhood” – Professor said this rather solemnly. But, Professor did not seem to listen. “But wont it affect the power of the political rallies and the fun (or sadistic pleasure) of annoying the neighborhood during festivals? We are used to honking loudly to vent out our frustrations when car is stuck in a traffic”. I protested. “Regarding honking, we have asked Music Composer A Rahman to come up with a powerful audio clip on meditation that will be made available to download free. When played in the car, people will remain calm, will not honk and take traffic jam as their fate or way of new life. “You made a good point” Professor said. “I will speak about this to Chief Minister of Uttar Pradesh. He is looking right now for new ideas”. Professor ignored what I said. “Oh, that’s very kind of you Professor”. I said. “But we are going even a step beyond”. Professor continued. All major roads in the 7 cities will have noise barriers on both sides. “That’s terrible Professor – these barriers will be sour spots of visual intrusion, blocking perhaps not noise but the flow of wind and affect the pedestrians” I was very concerned with this proposition. Just as we were planning to have a last glass of beer for the road, we saw Nirajnan Hiranandani, a reputed builder of Mumbai, taking a stool next to us with few of his friends. I thought linking real estate price with noise levels was a great idea – something more powerful than the mere enforcement of regulations. I saw the Professor was smiling mischievously while extinguishing his cigar. In Niranjan’s group there was “India CEO” of Sennheiser – one of the largest makers of headphones. The CEO said “if noise pollution is curbed, then I see impact on the sale of our flagship product – the noise cancelling headphones. There will be only little to “cancel” if the noise stays in limits!”. I thought he was right. But his fear looked much exaggerated. And then there was someone in the group (who looked like a mix of Bhappi Lahiri and R D Burman). He said. I thought he was right too. Indians indeed are happy and feel comfortable when there is noise. Drinking alcohol is no more a taboo. It probably never was. Many drink occasionally (that is what they say!) and some drink on a regular basis –every day. These regular drinkers take a peg or two of a large whisky at home after the dinner. Some prefer a glass of red wine as doctors say its good for the heart. The key is to drink moderately and not to get drunk. Some social drinkers drink only at the parties. These party drinkers stick to a drink or two to avoid making a scene. Very rarely you see people overly drinking – and those who do so are generally captains and chief engineers sailing on the ships. These gentlemen are pretty used to swaying. I admire those who drink solely to get drunk. These are the brave hearts. To these “drunkards”, any moderate drinking is not exciting as you don’t get “high” enough if you just had a peg or two. They feel that one should get drunk, then let yourself go with no chains to your mind and the body. “When you are truly drunk, man – you are simply free” said a friend of mine. 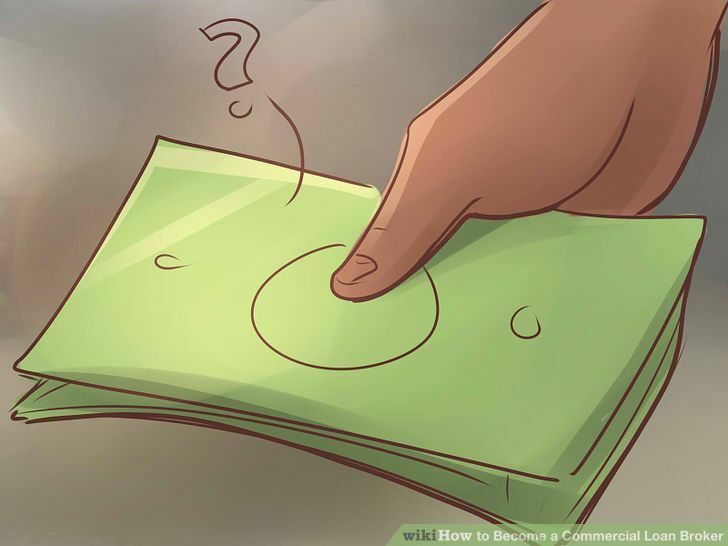 Another friend of mine who works for a multinational bank said that unless you get drunk you don’t get the “value for money” – he was perhaps right. When I studied at IIT Bombay, we believed in the value for money. We used to go to a shady bar outside the Y-Point called Ratna and have couple of glasses of Mosambi and Naringi (cheap drinks that contained more than 60% spirit) and return to the hostels late night almost “floating”. During the night of Mahashivaratri, we used to have “Bhang” that used to knock us down. I remember that I got so “high” after a glass of Bhang that I thought I had two large spans of wings on my body – replacing hands. I wanted to jump outside the window to fly over the Powai lake under the moonlight. My friends who were not that much drunk (fortunately) made all the efforts to hold me back jumping out of the window. The rationale of getting drunk reached another dimension when listening to music from some of the maestros. We used to invite Pundit Bhimsen Joshi during Mood Indigo at IIT. There were occasions when he used to come in a “trance” and we, in order to appreciate his performance, used to overly drink and get “high enough” to reach his “level”. But indeed, many artists do get drunk when they create or perform unusual art. I remember I went to a friend living in one of the old mansions on the Marine Drive in Mumbai. (Only people who are lucky or have done good deeds in their past lives get to live in these wonderful houses facing the sea). This friend was one of the famous guitarist – playing jazz. He did not make much money as to him money did not matter. When I reached my friends house just after the sunset, his servant told me that “saab” is in the balcony playing guitar and has instructed not to disturb. I went close to the balcony and saw him sitting on a chair, holding his large box guitar and strumming. He would occasionally hum like an iceane on a rum cake. There was a large glass of whisky next to him on a teapoy. He would pause sometimes to take a shot from the glass. He was doing a fantastic piece of jazz – something very unconventional. It resembled a bit like numbers from Liona Boyd – an amazing Canadian Guitar Artist. I asked the servant “kitne glass liye (how many pegs has he had?)”. The servant showed 5 fingers (meant five glasses). I did not disturb him. I only wished I could record – as he wouldn’t even know what amazing pieces he was playing. Apparently, people tend to talk too much when they get drunk. When you sit at the bar, you do meet such people. These people tell you something that would otherwise be not shared with anybody. These are their secrets. When these people get drunk, you discover an entirely new personality. Sometimes they abuse you, tell how they felt hurt because you did not treat well in the past and in some occasions they tell about someone they had a crush and alas – things did not work out. It could be a can of worms sometimes that gets opened. You are supposed to forget or pardon when these folks speak in a drunken condition. I was working in Bangkok on a mission with the Asian Development Bank. We had a pretty mean and nasty American project manager, Nick, who used to kind of “harass” the Team. He was very difficult to work along but we both used to be pretty good friends. Julia, one of our Team members was from Australia. Julia was always uncomfortable with Nick and used to tell me how much she hates him. Nick also did not seem to like her. They not only had differences when it came to technical matters but also had strong differences on opinions and philosophy of life. Nick used to play saxophone at a German pub in one of the by lanes (soi) of Sukumvit. He was really good on the sax. We used to go to the pub after the work and Julia used to tag along – but rather reluctantly. “I see him enough for the day – so not again” She used to say. We used to joke – what if Nick and Julia were married! Such different personalities!! I used to tell Julia that Nick was actually a nice person and somehow he did not know how to work with intelligent and beautiful women. I even told her that Nick actually likes her company. But Julia never seemed to be convinced with all my “stories” and defence. We used to sit on the bar and have couple of drinks while Nick used to play the Sax. All of us were moderate drinkers. Julia was very careful as she feared she would speak rubbish if drunk. One of the Friday evenings, however, we noticed that Julia was a bit high. The bar man was handing over the fourth “shot” of “long island” and she was all in the mood to get “drunk”. 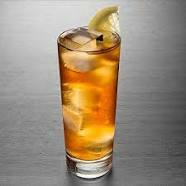 Long island is lethal drink that contains 1 part tequila, 1 part gin, 1 part whiskey, 1 part white rum, 1 part vodka, 1 oz sugar syrup, Coca-Cola and orange juice. It has all the “devils” in just one place. I saw a different Julia when we sat on a side table. She started speaking in all emotions. She asked “Are you sure about what you told me about Nick? Does he really like me?”. She asked. She was looking towards Nick who was mending notes on the Sax. He was doing real good. I told Julia that I truly believed so. Julia then spoke about how she admires Nick sometimes, but has somehow a bias of not liking him in the first instance. She realized that it has been a kind of “ego trip” – who will make the first move. She went on to explain that it was not fair on her part to blame him all the time. She wouldn’t mind patching up if I spoke to Nick and explain. I could clearly see all this happening because she was overly drunk. It was her inner mind that was speaking out loud. Her eyes were moist and the voice was quivering. “Well Julia, I will certainly be the mediator if this will help and talk to Nick tomorrow. Let me help you however to get a taxi and I suggest you go home. You are overly drunk”. I dropped Julia to the Taxi. She could hardly walk. “Forget what I said Prasad – I must be blabbering something crazy” She whispered in my ears. The bar tender while passing me the last drink said “ Strange woman, she took 5 shots of Long Island asking me only to mix sugar syrup, Coca-Cola and orange juice with no alcohol and paid the full price”. I was astonished with the trick Julia played. You don’t need to get actually drunk to be free. Public consultation is an important step in the environmental appraisal of projects. Many countries have instituted consultation as a part of the Environmental Impact Assessment (EIA) process. Ministry of Environment and Forests and Climate Change (MoEFCC) in India has provided guidelines for the conduct of the public hearing and for reporting the outcomes. Public hearing is a complex process. It often has political overtones that are difficult to comprehend and manage. Public hearing is also influenced by corporate rivalries. Many believe that public hearing is the most crucial milestone of the EIA process. It can be a nightmare. Facing the technical committee in New Delhi for environmental clearance is comparatively less volatile and not so complex an ordeal. Despite these challenges, public hearing is a step that is desirable. It provides an opportunity to the public to understand the project from both the perspectives i.e. development and environment. It’s a dialogue if conducted well can benefit everybody i.e. the project developer, environment, the affected public and of course the regulator. Unfortunately, the project developers often hide or provide incorrect information and environmental activists misinterpret and escalate the issues without much scientific basis to mislead the public. The public hearing then boils down to a negotiation between the project developers and the environmental activists to settle the matter. My Professor Friend asked me to attend a public hearing on a Sunday. “Come dressed like a common man” he said. We reached the meeting place. It was a community hall that was not well maintained with paint peeling off from the wall. It had photos of stalwarts from both opposition and ruling parties hanging on the walls. Leaders of Congress were on the left and leaders from BJP on the right. A photo of Mahatma Gandhi was at the Center as if not sure where to be. There was a long wooden table and chairs of different sizes stacked around. There were plastic chairs for people like us. The room was full. We took place in the last row. There was a wise looking man with a grey beard sitting next to me. He seemed to have experience of attending public hearing. He was wearing a pyjama and kurta – both not ironed. One side of the long table was occupied by the environmental activists. I could recognize them because they had not shaved and were wearing spectacles of critical kind. Many were carrying cotton sling bags that did not seem to be washed on a regular basis. Few were smoking cigarettes and some were chewing paan (beetle leaves). Most had constipated and sad faces but a shine in the eyes that they were there to protect the world. The leader was wearing a bundee like Prime Minister Narendra Modi and a green band on the head. He looked impatient. And there were officials as well. I could recognize amongst these the collector as he had the best chair to sit with a towel placed at the back of the chair. Man from the Pollution Control Board (PCB) could be recognized as he was already walloping the cashew nuts placed in the plate. We were perhaps late, as the project was already presented by the Developers. “Did we miss anything critical?” I asked the wise man sitting next to me. “Oh, nothing much” he said “It’s a thermal power plant based on coal. The usual stuff. Clean coal, Tall stacks, closed loop cooling water system, well protected ash pond, green belt etc.” He said this in a rather weary tone. “So, then what’s the issue?” I could not hesitate asking. I must be loud as the Professor asked me to focus on the conversations at the long table instead of “whispering” to the wise man. The activist said “I don’t buy your story. All this will remain on the paper and you will be flouting the norms, especially in the night”. The representative from the PCB nodded taking a bite of hot samosas. He was looking for the ketchup. Professor activist was very angry with this response. He said in a raised voice “Mind you, I am talking about temperature and not quantity of water. If you really mean to minimize water consumption, then you should have considered dry cooling. These systems use little or no water; instead, they use air to cool steam. I thought that the leader wasn’t much concerned about the dying shrimps. I was amused to hear this term – environmental broker. And indeed, the wise man was right. Several issues were brought up subsequently that majorly included employment to the local people and demands were made that few contracts that must be awarded to the local businesses. The discussions that started with the environmental issues later turned towards the social and economic “opportunities”. Promises were being made and a frail looking man was jotting them down. The collector was on the mobile phone sending WhatsApp messages. I decided to step out for a while to get some fresh air and visit the loo. I saw an old man waiting outside who probably couldn’t find a seat in the packed community hall. “Sir, is the meeting over?” He asked me. Before he was about to enter the community hall, I stopped him. I re-joined the meeting to see how environmental brokers operate. Planners and regulators today are not addressing the impacts of Climate Change (CC) adequately in the future plans. This is not just the case with the developing countries but with the developed countries as well. There are very few examples available where you see CC is reflected in policies, plans and project designs. CC is more talked on the vulnerability. The level of progress in integrating CC considerations in EIA varies considerably. Countries like Netherlands, Canada and Australia have been the pioneers in implementing incorporation of CC in EIA. While Netherlands includes CC through a Strategic Environmental Assessment (SEA), Canada and Australia have taken the route towards CC integration through project level EIAs. The European Commission, in its directive on the assessment of the effects of certain public and private projects on the environment, aims to reflect CC-related concerns. When Indian Ministry of Environment & Forests added Climate Change to its title, I was hoping to see integration of Climate Change in EIA. Unfortunately, I don’t get to see any traction in this direction. There is a need to address this issue by suitably modifying the existing EIA Notification. Although CC related concerns and understanding are growing, incorporation of CC in the EIA process has not seen an acceptance as expected. 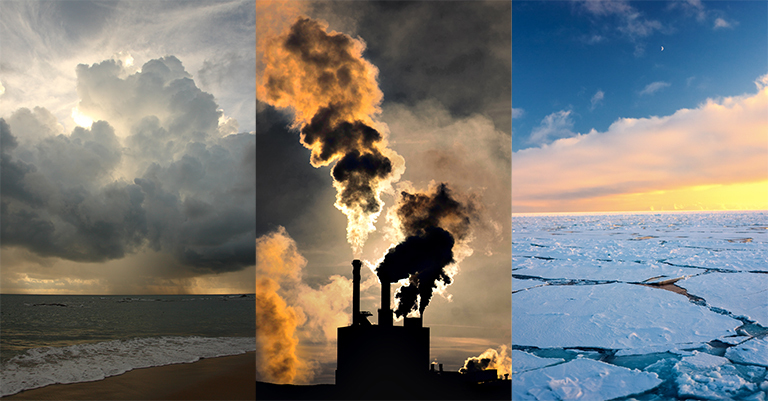 Project developers in countries like Canada, a pioneer in this area, believe that not much climate related information is available to analyze the impacts of climate change on the projects. Besides, data availability and expertise on CC modeling is still an issue. International Association of Impact Assessment surveyed the Australian CC-EIA system from the point of view of EIA practitioners. In all, 63 respondents were drawn across the country. It was found that majority practitioners believed that CC is highly relevant in EIA and Strategic Environmental Assessment (SEA). In addition, the survey suggested that project EIAs cannot take lead in incorporating CC EIA. CC considerations must start or originate from SEAs. Lack of political and agency will to address climate change. Let us understand the complexity of the issue. CC considerations in EIA typically result into mitigation and adaptation plans. The adaptation plans need to be developed at regional level, often beyond the boundaries of an individual project. For designing and implementing adaptation related plans, a simultaneous consideration to multiple projects is required to assess the cumulative impacts over the region. Public consultations need to be used as an important milestone to link the SEA, REA and Project level EIAs. Another point to remember is we need to bring in elements of risks by building scenarios. The entry point for developing adaptation plan is thus at strategic level where tools such as Regional EIA (REIA), SEA and Cumulative Impact Assessment (CIA) need to be used. Unfortunately, in India all these three extensions of Project EIA have not been legislated. If we want to address CC in Indian EIA, then we will require a major reform in the EIA system. The mitigation plans on the other hand are generally project-limited and influence the project design and operations. Here aspects such as energy mix, water use and conservation, afforestation and erosion control need to be examined. Many of these aspects get addressed in the preparation of Project focused Environmental Management Plan (EMP). To address abnormal and emergent situations however, the Project level EMPs need to be accompanied by the Disaster Management Plan (DMP). 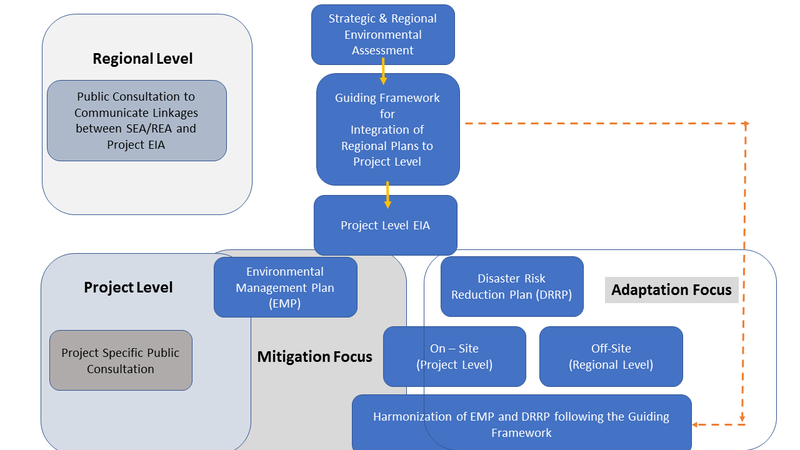 Once CC considerations are included, adaptation and mitigation elements get factored and the DMP assumes a form of a Disaster Risk Reduction Plan (DRRP). This DRRP needs to address both onsite and offsite risks. Project EIAs are generally processed by State and Central level environmental authorities. Separate departments/ministries operate for management of disaster related risks. Often, there are no linkages occur between these institutions. SEA with a focus on CC may be used to ensure mainstreaming of CC in the project and regional EIAs and more critically to ensure coordination between key institutions and the project sponsor. Key stakeholders in the CC integration will be National/Regional Planning agencies, Environmental and Disaster Management Agencies and the Project Proponent. Table 1 lists roles and responsibilities of key stakeholder institutions in the conduct of SEA, Regional EIA and Project EIAs. Many States in India have set up CC cells. These cells may undertake required coordination. These CC cells may be supported by a CC related research organization that has required databases and expertise on CC related modelling. This concept is shown in Figure 2. 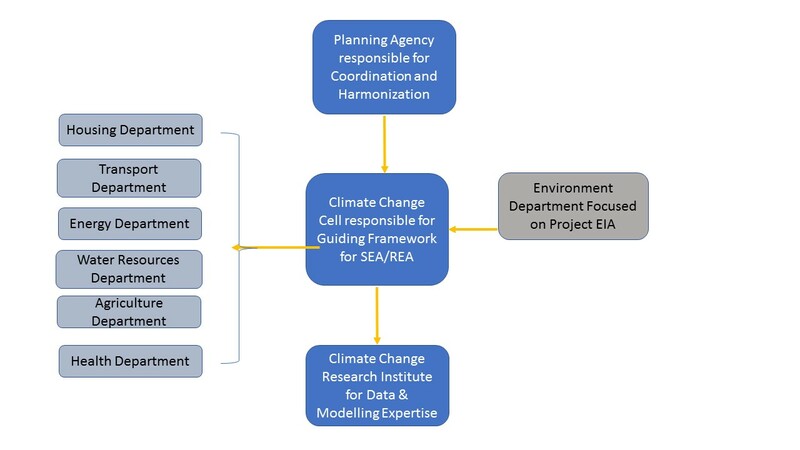 REA and SEA clearly assume an important role to ensure harmonization between Project level EMP and DRRP with the CC adaptation plans at the regional level. Cumulative Impact Assessment (CIA) will remain the key. Institutional coordination with cost sharing will be important in the implementation of the CC related recommendations. Involvement of the stakeholders is necessary to appreciate the concerns of the CC, especially its economic, social and environmental implications. Capacity building of the planners, regulators and professionals is also required. Finally, pilots should be implemented to demonstrate how CC in EIA could be mainstreamed. Based on the experience of the pilot, the EIA Notification may be suitably amended. We will need to develop another Schedule that will define which projects or regions will need CC considerations based on the vulnerability atlas, type and scale of projects development. I presented my views to my Professor Friend. “The Ministry likes you. The least MoEFCC will do is to constitute a “Committee on CC in EIA”. They are good at this and I am sure this Committee will be set up without much delay!! But remember, rest will follow as usual. Like the Climate is changing, MoEFCC may also change its mind!! !